You cannot enjoy Life when you are continuously feeling guilty. Almost all the time, we are making decisions in Life. Some of them work well. Several blow up in our faces. 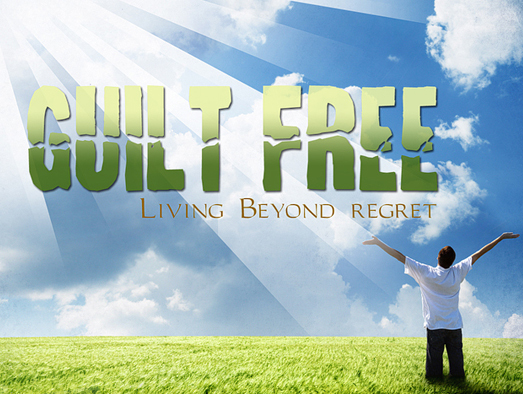 If we start feeling guilty for those decisions that misfired, we will be stuck in the past. When you are not present in the now, in the moment, how can you enjoy it? Of course, guilt cannot be avoided totally. It has to only be faced, and overcome, with awareness. Every time something does not go per your design, or expectation, you are bound to feel responsible, and accountable, for the outcome. So, you cannot but feel guilty. But if you are aware that guilt is debilitating, that it is a wasted emotion, that traps you in the past, you will successfully overcome it! First, however, try and understand why you feel guilty. We human beings have this notion, both through our education and upbringing, that we are in control of our lives. So, when things don’t go according to what you envisioned them to be, you hold yourself responsible. In a very subconscious, yet sure, way, your guilt is always a manifestation of your ego! “Ishould have been better prepared”, “I should have thought through this better”, “Ishould have planned for a worst case scenario”, “I should have not taken this decision or made this move”…these and more emotions are bound to gnaw at you from within. But do you recognize the existence of the big “I” in each of them? That’s your ego screaming out aloud! Your guilt is the shadow of your ego – it goes on vainly reminding you that you are all powerful and now that your power did not work in the current context, you have failed yourself, you should now brood over your action! You should, therefore, wallow in self-pity and guilt! But remember your awareness is far more powerful. When you attain a state of self-realization, where you understand that nothing is being done in Life, in the Universe, by anyone, that Life is happening on its own, your guilt disappears. This is not escapist thinking. This is the truth. Whatever has happened, was bound to happen, even if you were to murder someone! If it could have been avoided, it would have not have happened. Being trapped in your guilt and by brooding, nothing is going to be achieved. If anything, you will be dead, because you are not living in the present anymore, even if you are biologically alive! In the Hindi movie Raanjhaana (2013, Aanand L Rai), Kundan, played masterfully by Dhanush, sits on the banks of the Ganges brooding over the death of Jasmeet (Abhay Deol in a cameo), which had been caused by circumstances triggered by Kundan. An anonymous man with a camera confronts Kundan and says: “You look like you have murdered someone. Your face says it all. No religion can grant you forgiveness for taking the Life of another human being. So, no point in feeling guilty over what you did and what has happened. You are not going to attain salvation sitting like this by the Ganges. So, get up, go, go do something about your Life and make things better by living your Life fully, meaningfully!” Kundan gets the message and takes charge of his Life the best way he can! What the film’s nameless character told Kundan applies to you and me too. There’s no point drowning yourself in guilt over anything – the best you can do is to try not to repeat the same action, pattern, decision, whatever that misfired, again. That’s all! The moment you let your guilt get the better of you, you are as good as dead. You, me, we all, are but small cogs in the big wheel of an inscrutable cosmic design called Life. And Life happens, not because of you or me, but inspite of us. When this awareness dawns and remains in you, you will see each guilt-forming moment as an opportunity to learn, and unlearn, and keep moving on.